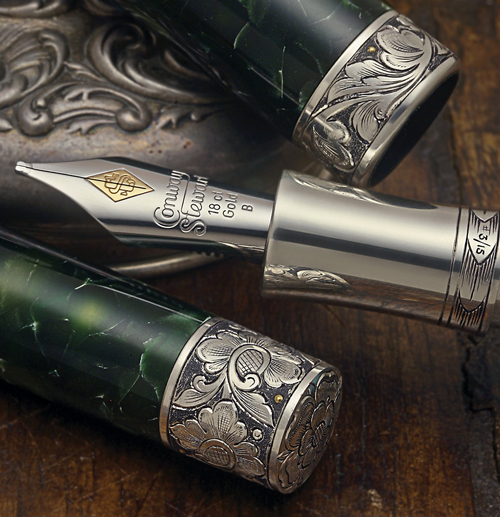 This collection both innovates with its new technology and celebrates the pioneering spirit of the early 20th century: a new two-step screw mechanism governs both the retractable nib movement and the piston filling mechanism. 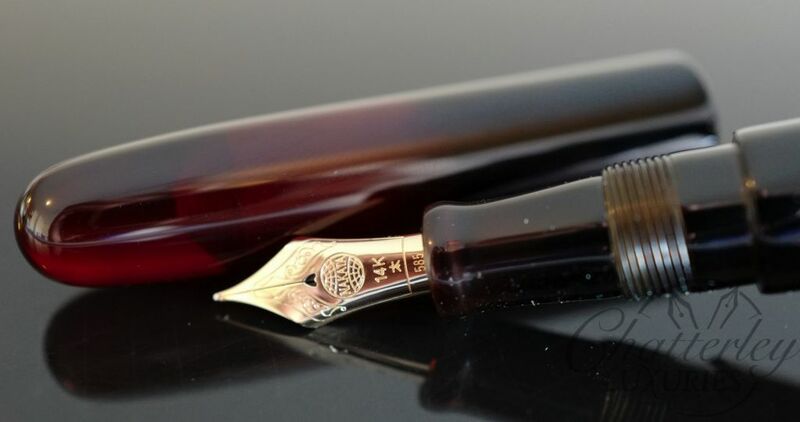 This pen boasts a 14kt gold nib, which Montblanc has plated with Rhodium to preserve the sheen and protect the nib. 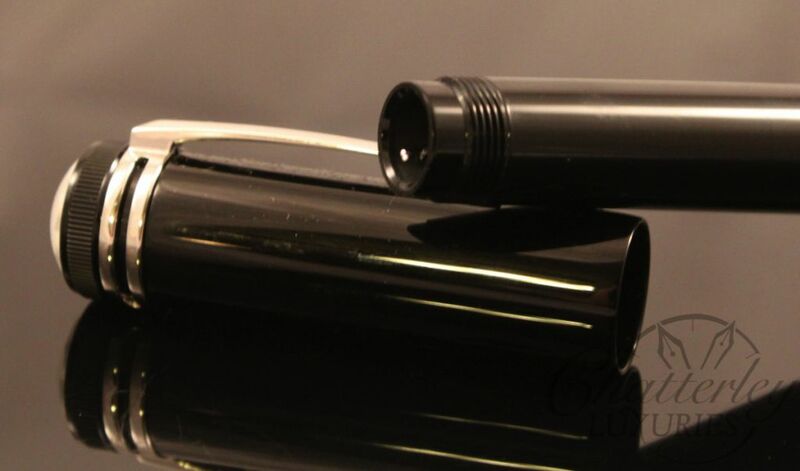 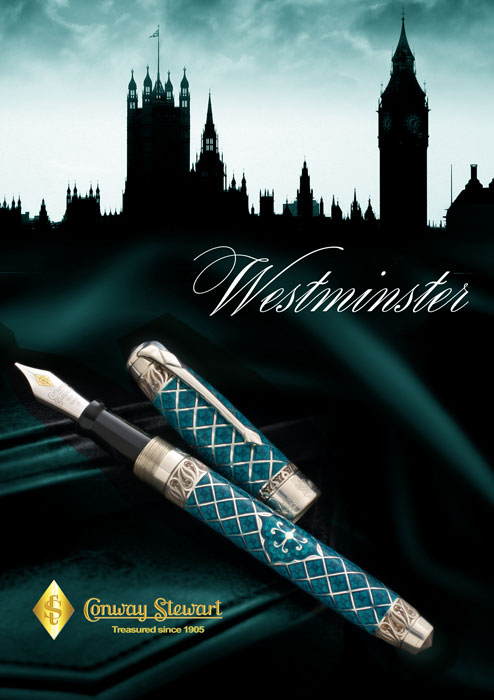 Also Montblanc’s trademark star on the top of this pen has been revised. 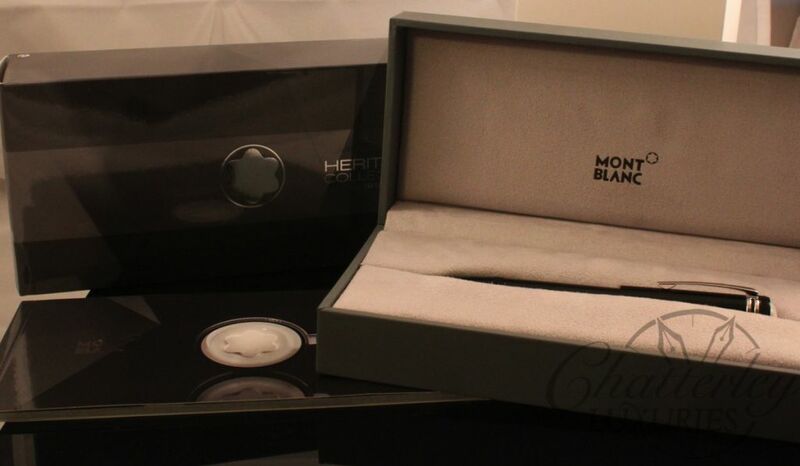 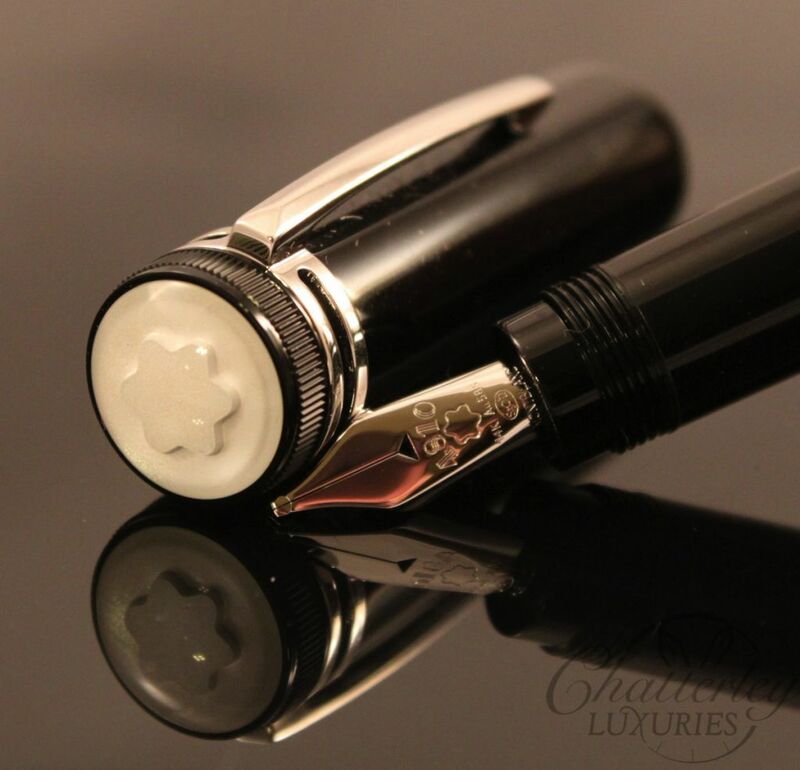 The whole top of the Montblanc Heritage is encased in white, with the star placed in the middle. 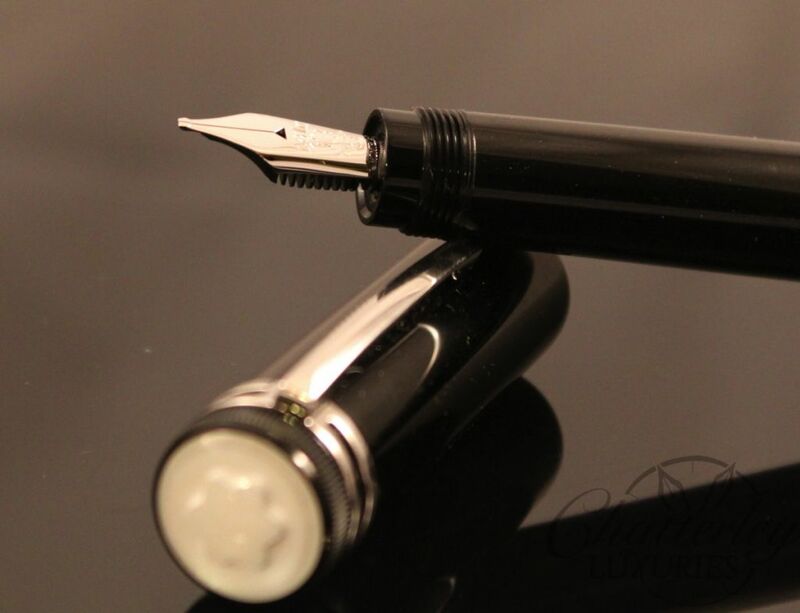 The fit and finish of the pen is very nice, and the balance is remarkable.